Come see Dr. Bhakta. It is where other physicians and healthcare workers send their families and patients as evidenced by the above awards. If you live in the Gainesville or South Riding area and need a podiatrist, look no further than Dr. Mukesh Bhakta, D.P.M. 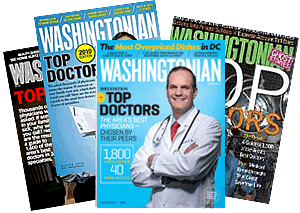 at Prince William Foot & Ankle Center, PC and South Riding Foot & Ankle Center. Since 2000, Dr. Bhakta has provided personalized treatment for a variety of conditions affecting the foot and ankle, including plantar fasciitis, ingrown toenails, toenail fungus, and athlete's foot, among others. While most podiatry offices have more than one foot doctor on staff, Dr. Bhakta is the sole podiatrist at both of his practices. This not only means that you’ll always know exactly who will be treating you, but it also enables Dr. Bhakta to really get to know his patients and to develop completely customized treatment plans. Dr. Bhakta also performs surgeries, so should you need an operation to treat bunions, hammertoes, ankle injuries, or foot pain from heel spurs, you’ll have a familiar face in the operating room. Dr. Bhakta is committed to making podiatry as convenient as possible for the residents of Gainesville, Haymarket, Warrenton, Chantilly, Brambleton, Bull Run, Aldie, and surrounding areas. Thanks to the digital foot X-ray, ankle X-ray, and diagnostic ultrasound machines in our Gainesville office, we’re able to provide all-inclusive services, meaning you’ll never have to sit in crowded emergency rooms or make multiple doctors’ appointments. You may also benefit from our practices’ custom orthotic services for the treatment of flat feet, bunions, heel pain, foot warts and other podiatric conditions. Plus, Dr. Bhakta provides in-office, state-of-the-art Shockwave Therapy and laser treatment for unsightly toenail fungus. Radial shockwave treatment can be used for a variety of lower leg problems including plantar fasciitis, Achilles tendonitis, Sesamoiditis, Shin splints and other tendonitis. Laser nail treatment may be used in conjunction with oral or topical antifungal agents for a possibly better appearing nails. This new technology also quickly and painlessly produces clearer and healthier-looking nails without removing the entire nail plate. 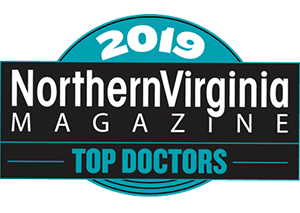 Whether you live in Catharpin, Centreville, Bristow, Nokesville, Gainesville, Haymarket, South Riding, Chantilly, Aldie, Brambleton, Ashburn, Manassas or any other nearby Virginia community, Dr. Bhakta has an office conveniently located to serve you. Contact us to learn more about the podiatry services offered at Prince William Foot & Ankle Center, PC and South Riding Foot & Ankle Center, or click here to schedule an appointment online. Dr. Mukesh Bhakta has been in private practice since August 2000. 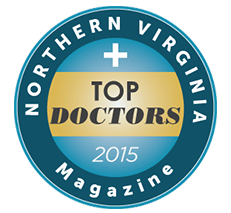 He established his own practice Prince William Foot & Ankle Center, PC in August 2006 and subsequently South Riding Foot & Ankle Center, PC in 2010.